On behalf of Shelby Granite, thank you for taking the time to learn why families from all over central Alabama have trusted our family for decades to create handcrafted monuments to honor their loved ones. Our personal touch on each hand crafted monument results in a memorial as unique and special as the individual it honors. As a full-service monument company, we take ownership of the entire process—from designing and engraving, to installation. 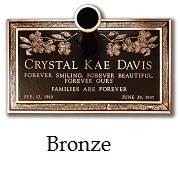 Families come to us to create their memorials because we provide exceptional personal service, the highest quality and outstanding craftsmanship that surpass all expectations. 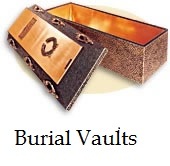 We invite you to visit one of our two locations, Calera or Harpersville, each combined offers the largest memorial selection in Shelby County. Our family of highly-skilled granite carvers, draftsmen and knowledgeable staff are always available to walk you through the process of creating the perfect memorial for your loved one. Contact us or stop by either location today. We have several civic memorials and fundraising projects going in 2015. Call us today to see how we can help with your project. In March 2015, we will be launching our You Tube chanel. There we will be offering special pricing for our internet users, as well as updates on ongoing civic and fundraiser projects.